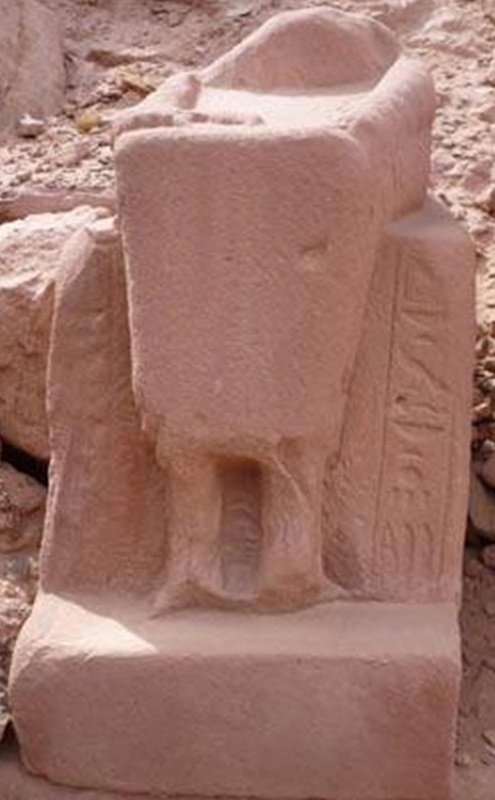 On Thursday 23rd of September, the guards and inspectors of Serabit Khadim temple in South Sinai, discovered that the lower part of Hathor statue was missing and immediately the tourism and antiquities police was informed. Searching for the missing object took place since then till it was found on 28th of September in a nearby area. There are no strangers can get to the temple area without the Bedouin in the area knows plus the 24 guards and 10 inspectors who are doing regular check which helped to find out about the missing object. It seems like the attempt happened due to an arguments between some of the Bedouins individuals in the area although thanks to the Bedouins and their co-operation with the police that helped to find the missing object. As a result of this incident so the Supreme council of Antiquities decided to move 6 statues from the temple to Sharm El sheikh to be display at Sharm El sheikh Museum. More details about the temple and the restoration work with Luxor Times tomorrow…!! !